What is the Graduate Enrichment Series? The Graduate Enrichment Series is a certificate program that offers weekly opportunities for students to grow both personally and professionally. These sessions are available to all graduate students at no additional charge and are led by faculty and staff from numerous departments and offices around campus and cover a wide variety of topics. Check DuckSync for details on this semester’s workshops. Why should I participate in the Graduate Enrichment Series? Participating in the Graduate Enrichment Series provides opportunities for individual growth and development. Additionally, students who attend a minimum of 15 sessions will receive a Certificate of Completion at the end of the academic year and may request a Co-Curricular Transcript detailing the sessions that they attended. What is a Co-Curricular Transcript? The Co-Curricular Transcript is a verified record of student's involvement used to document experiences gained outside the classroom. The Co-Curricular Transcript can be used to increase a student's marketability to prospective employers and graduate schools, provide speaking points for job interviews, and to showcase leadership experience. The Co-Curricular Transcript is a verifiable university document that bears the Institute's seal. When logged into your DuckSync account, click on your name at the top right corner of the page. On the pop-up menu that appears from the right hand side of the screen, click “Involvement”. On the “Involvement History” page, you can see a record of all activities in which you have been involved. On the right hand side of the page, click the “Request Official Transcript” button. Your request will be sent to an administrator for approval. You will receive a notification once your request has been approved. Are Graduate Enrichment Series sessions available online? A select group of GES sessions have been made available online. Stevens offers more than 40 master's degrees. Cited for the best 20-year return on investment for graduates, 2016 PayScale College ROI Report. Stevens is home to 20 Ph.D. programs in high-demand fields. Selected for “Best Career Services” in The Princeton Review’s "2015 The Best 379 Colleges." There is so much that combines to make up the unique Stevens experience. The following are just a few things we think you should know about. Students can study full-time or part-time, on campus or online. Our award-winning online learning platform gives students access to the same curricula taught by the same faculty who lead on-campus Stevens graduate courses. 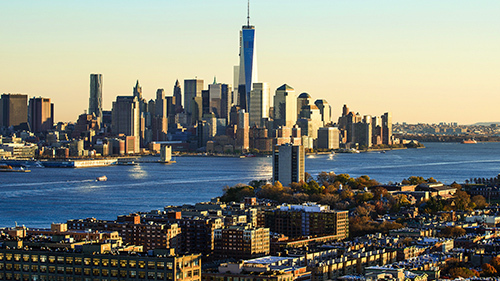 Stevens is located in Hoboken, New Jersey, a vibrant, thriving community just a 10-minute ride from the excitement and opportunities of New York City.